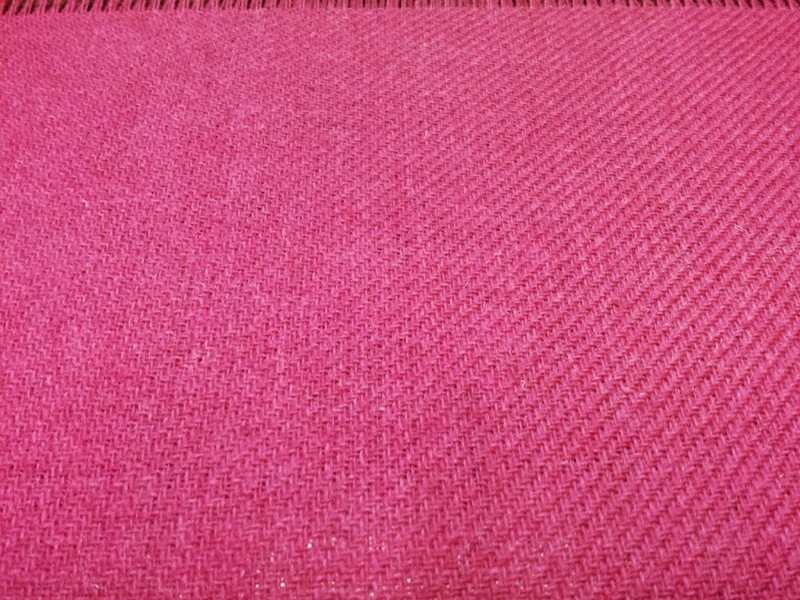 When I took those tweeds up to the mill to be washed, I bought some more of the pink I’d used and made a wee tweed of plain pink. 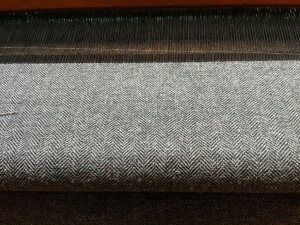 No pictures of it finished as it’s currently at the mill, but here’s one of it on the loom. 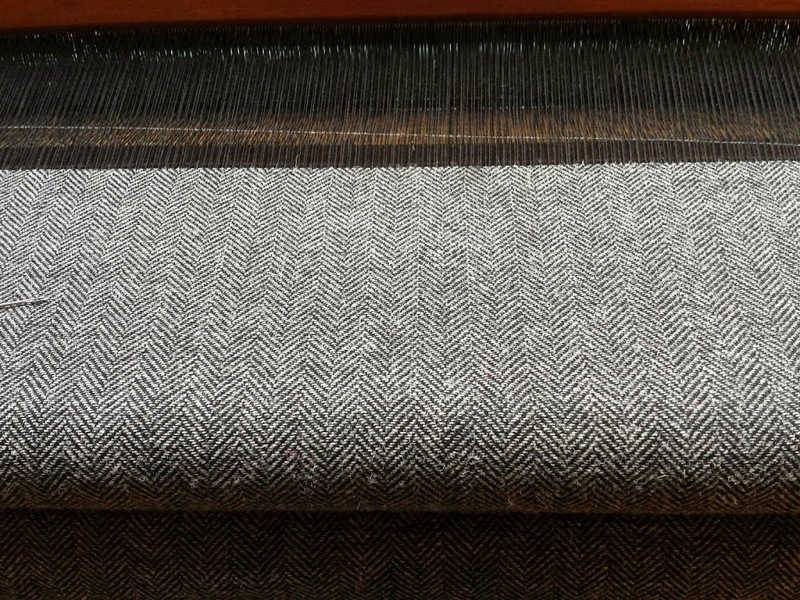 I was speaking to another weaver about how different tweeds can look if you change the warp and weft colours over and she’d recently woven an 8×8 herringbone of grey warp and black weft, so I decided to experiment and I’m currently weaving a 12×12 herringbone of black warp and grey weft. 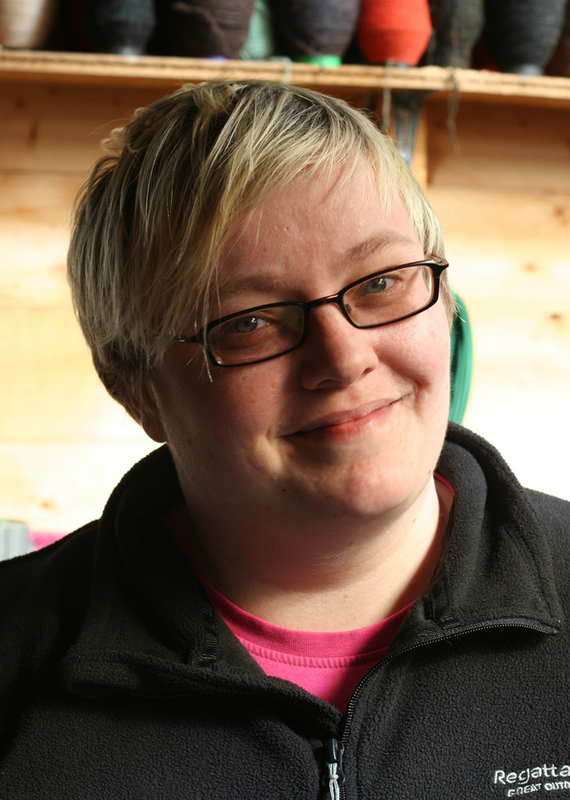 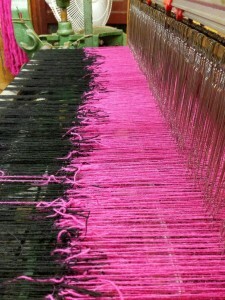 Tying in the new beam meant I was tying black to pink and it’s quite striking as you can see in the picture below. 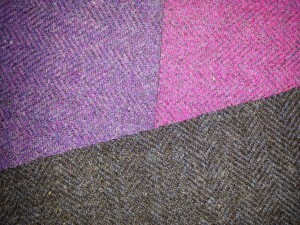 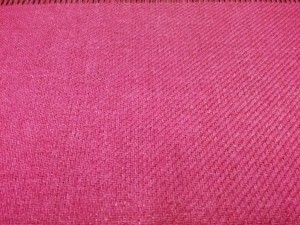 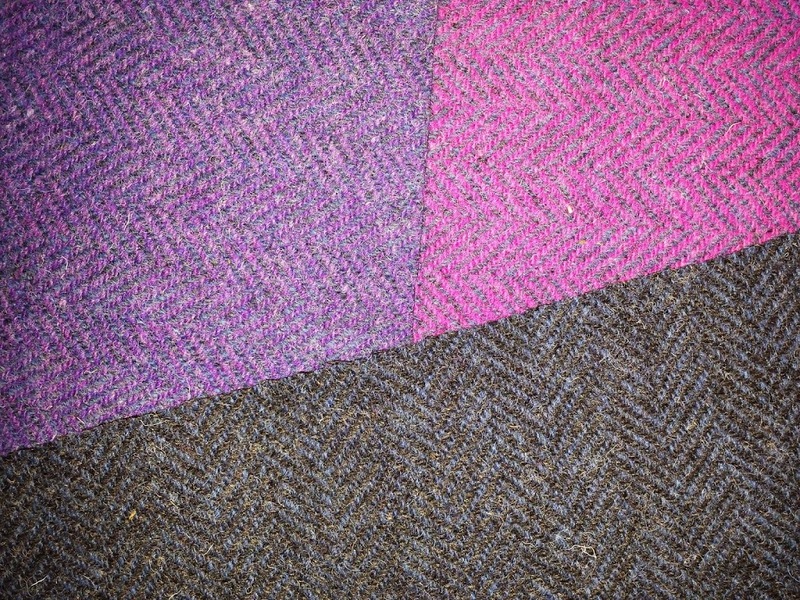 I’m quite curious as to how a pink/black herringbone would look so it might be one I do in the future as a sample.